The second day of the rollout of the Goods and Services Tax (GST) passed off without major issues even as over 2 lakh new assesses have enrolled since last week in the new pan-India indirect tax regime, the government said on Sunday. 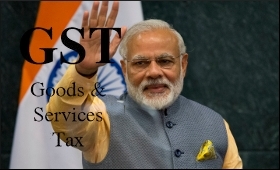 "Second day after the roll out of GST with effect from July 1 has passed without any major problems being reported from the field," a Finance Ministry release in New Delhi said. "Since June 25, 2.23 lakh new dealers have entered the GSTN (GST Network) system by filing draft applications, of which 63,000 have also submitted full details, and of which 32,000 dealers granted fresh registrations also," it said. "Revenue department has got encouraging reports from the roadside 'dhabas' and big restaurants, as well as from 'kirana' shops to departmental Stores which, in turn, have started getting acclimatized to the new tax system," it added. The statement also carried an appeal from Revenue Secretary Hasmukh Adhia to the public not to circulate any unverified messages on GST through social media. In a series of tweets on Sunday, Adhia proceeded to clear certain misconceptions going around about the new indirect tax regime. "There are seven myths going around about GST which are not true. I want to dispel them one by one in form of myth and reality. Please see these," Adhia tweeted. Cautioning people against falling prey to rumours, Adhia, said the process around the implementation and execution of GST will be transparent. "Nothing to worry on GST implementation, don't need big IT infrastructure. Even B2B don't need big software. We will give free software," he said.